Our Head of Sales, Claire Treloar, attended an event at Barclays Eagle Labs this morning with @Promanchester. The topic was ‘Commercialising Creativity’. Here’s her take on why it was so insightful and why capturing the creative in your business can make a big difference in every department. There was a panel of 4 industry experts and an audience of people connected with a creative role in some shape or form. 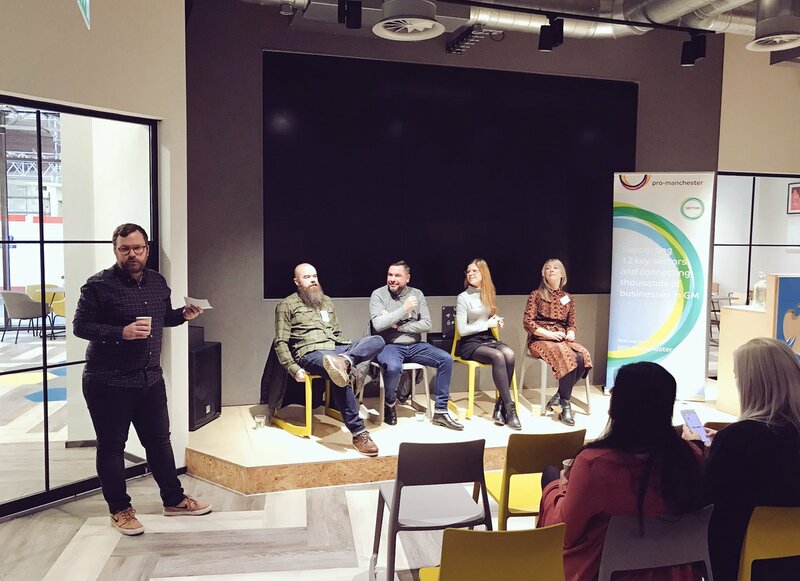 The panel discussed how creativity opens the door to new business opportunities but so many businesses out there still don’t recognise this and see creatives as the people who implement the creative vision not help solve it at the beginning. I must be in the fortunate position where for the last 15 years of my career I have worked for businesses who will always look to us creative types to help solve problems across the business. Whether it be how to present sales information in new but effective ways, to how can we get people through the door of a local attraction to make a big difference. One question posed as part of the discussion was ‘do advances in data stop creativity in business’. For us, data and creativity go hand in hand. In fact data is usually the starting point to us getting a brief, and continues to be a vital part of the creative process as we develop audience personas which allow us to design meaningful campaigns that we know will engage with the correct audience and in turn improve commercial viability. It was great to be part of the audience this morning, I left feeling reassured that as an agency our internal process of understanding our clients commercial objectives before applying a creative solution continues to be the most effective way to deliver ROI at every level.